Sanofi-aventis and Nichi-Iko Pharmaceutical Co., Ltd. (Nichi-Iko) announced today that they have signed an agreement to establish a new joint venture, called sanofi-aventis Nichi-Iko K.K., in order to develop a generic business in Japan. The new joint venture will be held at 51% by sanofi-aventis K.K. and at 49% by Nichi-Iko. In addition, sanofi-aventis will acquire 1,524,500 shares of Nichi-Iko, to be issued through a third-party allocation, and as a result will hold 4.66% of Nichi-Iko. Nichi-Iko is the leader and fastest growing generics company in Japan, with 2009 sales reaching 54.8 billion JPY - around 460 million Euros*. As a first step, the joint venture will take over the marketing and distribution rights in Japan for the antiinsomnia agent AmobanTM (zopiclone) from sanofi-aventis K.K. AmobanTM sales reached 5.1 billion Yen or 43 million Euros* in 2009. Nichi-Iko will ensure the promotion and distribution of AmobanTM through its large network of pharmacies, wholesalers and medical institutions. 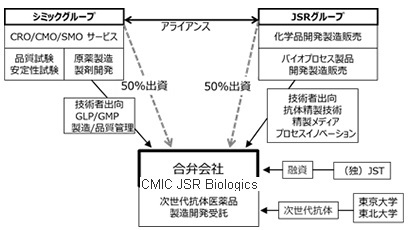 Both companies continue to explore additional opportunities for the development of the joint venture in the generic market in Japan by combining Nichi-Iko’s expertise in manufacturing, development, and distribution of generics in Japan and sanofi-aventis’ resources and global portfolio of generics. Today, Japan is the world’s second largest pharmaceutical market, with annual sales of approximately 8.85 trillion JPY (based on NHI price) - around 74 Billion Euros*. Around 8 % of its prescription drug sales (20 % in sales volume) are generics. By 2012, a combination of major drug patent expiries, a rapidly aging demographic, and wide ranging government initiatives to reduce health care spending are making the generic drug sector in Japan increasingly attractive. The Japanese government is promoting the use of generics with the objective to reach more than 30% of the total pharmaceutical market in volume by 2012. NS Industria de Aparelhos Medicos Ltda. Our custom medical tubing applications and products include PORTs（血管内に薬剤を注入するための医療機器）、PICCs（腕から挿入する中心静脈カテーテル）, dilators（医療用拡張器）, multi-lumen tubes, multi-layer tubes, precision tubing for balloons and sheaths, catheters and more. 1）社名 ： Girindus America Inc.
1）社名 ： Nitto Denko Avecia Inc.